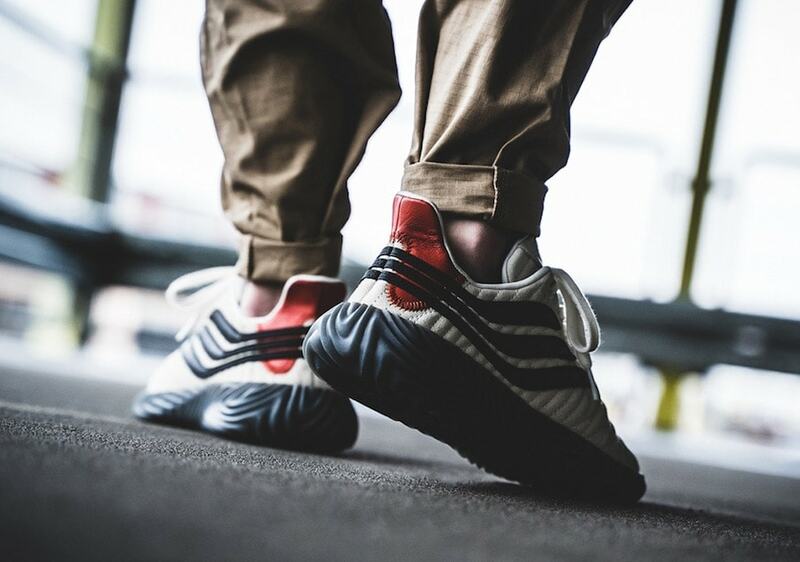 The adidas Sobakov first exploded onto the sneaker scene last Summer. First introduced in June, the soccer-inspired silhouette has grown immensely in popularity in a short time. Now, the Sobakov is ready to launch in a clean “Sesame” colorway. adidas’ latest sports-inspired silhouette became a hit last Summer during its debut. Titled the Sobakov, the new shoe builds off of the terrace/soccer shoe culture first introduced this year by the Kamanda. The Sobakov shares almost the same shape as the terrace-inspired sneaker from several months ago. However, the single-piece suede upper has been replaced with a thick, ribbed knit material. The leather hits on the tongue and heel are still present, along with the toe box stitching, though there are some subtle differences. 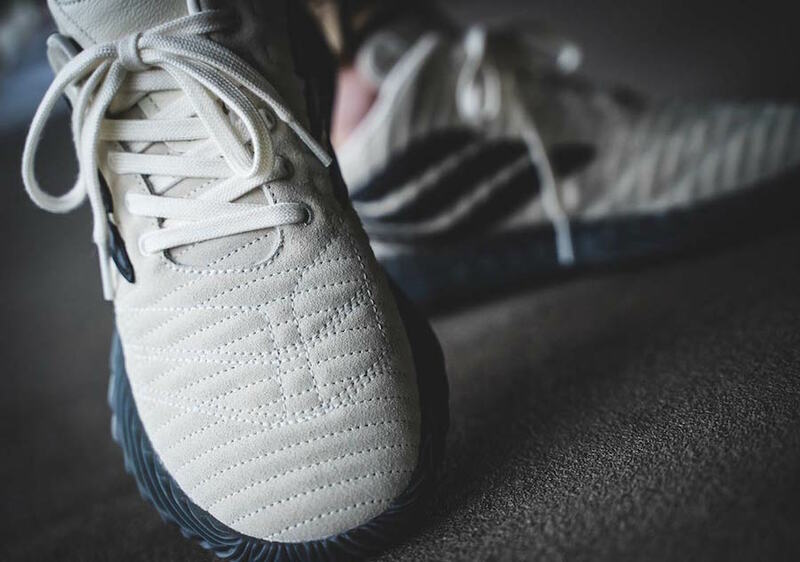 The stripes on either side are no longer a series of perforations, instead, the aggressive stripes take inspiration from the adidas Predator line. This week, early images of a new Sobakov have surfaced online, showing off the silhouette in a sleek yet subtle new colorway. The knit upper is dyed in the faded sesame tone, accented by black stripes. The midsole is constructed from translucent grey rubber, and a bright red heel tab finishes off the look. 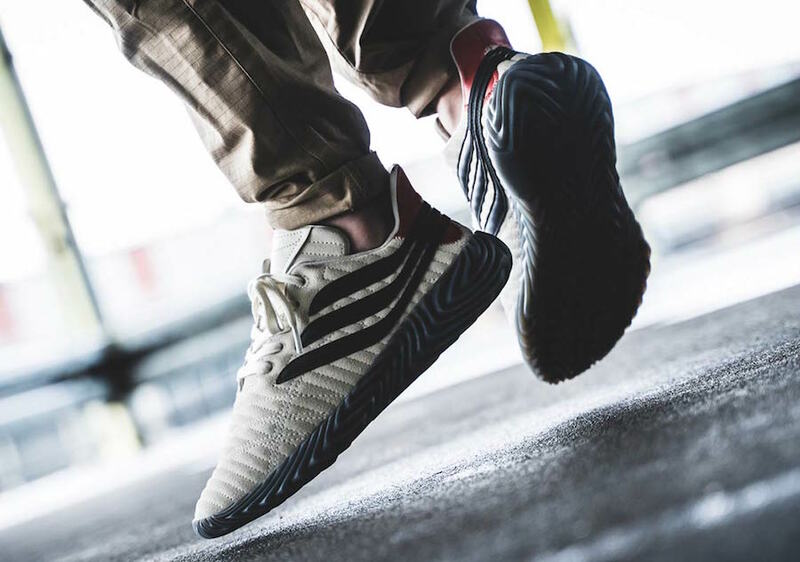 The latest colorway of adidas Original’s soccer-inspired Sobakov is expected to arrive in stores sometime in February 2019. The new Predator-inspired colorway will retail for the usual $120 from both adidas and select retailers. Check out the official images below for a better look at the shoe, and stay tuned to JustFreshKicks for more information about the adidas Sobakov. The post adidas Introduces a New Sobakov Colorway in the Signature Sesame Tone appeared first on JustFreshKicks.